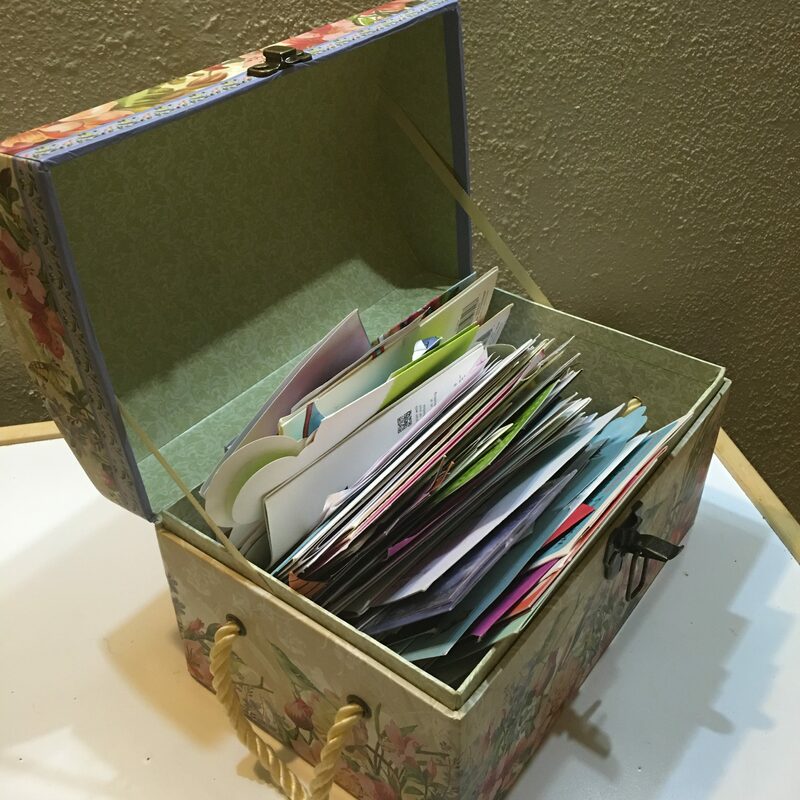 This is a paper chest filled with greeting cards my wife and daughters and I have been adding to for a few years now. Anniversaries, wedding cards, kids’ birthdays, you name it. We give this chest to my toddlers when they need an indoor activity. When we are cleaning up, I check the price tags and I cringe to think how much money people have spent on these, and conversely, how much I’ve spent on cards for others. In Magic, there are lots of things to spend money on. Some of them are avoidable. Some aren’t. Let’s go over some of the things you should never buy again. I want to be clear that if you’re into collecting some of these things, that’s awesome. I’m glad you’re finding a fun niche related to this game, but I’m focusing on what you need to play. Listen, I’m with you. Holding that pack, thinking about what it could be, anticipating that sweet foil, come on, come on, jump to the rare…(crap). Feel free to fill in the name of any card worth less than a dollar for crap in the previous sentence. Buying loose boosters at your store is at best scratching a lottery ticket. I’ve written about this before and the odds are never in your favor. Not even this premiere week. You want a card? Buy that card. Buy the playset. It’ll cost less. Even in foil. This is even true for the uncommons you want. If you buy a box of a set, odds are that you’re not going to get four of a certain uncommon. Drove me batty when that stuff would happen. Buying loose boosters online is even worse. Mapping packs is a thing. Weighing packs to extract foils is a thing. Peeking through the plastic at pre-Ice Age packs, to pluck out rares, is a thing. Stop buying boosters! I get it. Writing your life total on the match slip is so very unrefined, like you’re struggling for scraps. Also, it’s a small space and you can’t take notes on what happens, cards to look out for, all sorts of things. You know what you need? A fifty-cent spiral notebook from the grocery store. A small legal pad. Or better yet, one of the huge stack of life pads that vendors give away at big events. One Grand Prix will take care of your needs for years. I’m not going to link them, but if you spend $12 on a paper pad that nicely bound or $30 on an e-writer, I’m going to know you’re someone with more money than sense. A life pad that can break?? Come on. I’m all for sweet dice. I’ve got a couple of Iron Dice here someplace that I can’t put in a bin with other dice because the Iron ones crack the plastic of the others. Know what else I have? Multiple bags of plastic dice and assorted counters/beads/stones. And this is after I used to spend a lot of energy tracking down places that would buy old spindowns! Used to be a lot of profit in that, but not anymore. You need a few dice and a couple of stones. That’s it. Tokens are all over the place, scoop some up after a draft. People leave dice on the floor or on the table all the time. If you spend money on dice, you’re buying tiny art pieces, and that’s cool, but all you need is five D6 and you’re good for 99% of games, unless you play Commander games that get out of hand. Now this is going to piss some of you off. 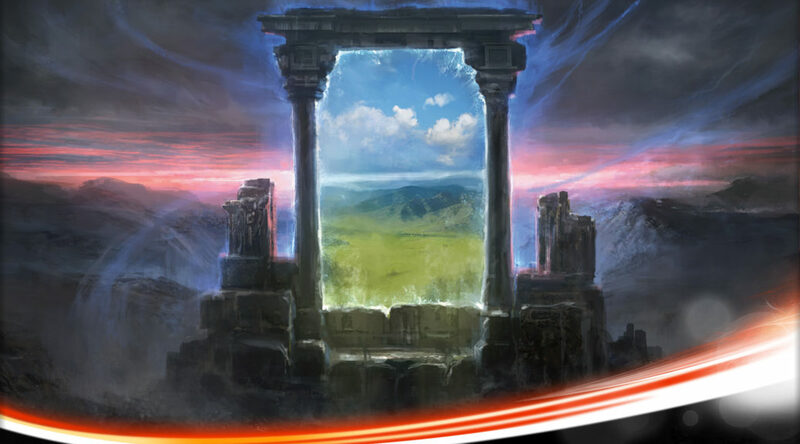 You’ve got playmats that were awesome prizes, that have favored art, or just carry significance. And I’m with you: I’m quite fond of my MTGPrice playmat. Know what I’m not so fond of? My stack of GP mats. I kept the first couple, and then I realized that I was never going to use them, and I started selling them at the events, which has been great for me. Haven’t regretted a moment of it. Is there a market where people buy and sell these mats? Absolutely. The art on a mat can make a big difference to its value, such as the two GP Vegas mats. I’m all for buying the mat you want. And that’s it. Every extra mat you have is just something you need to store and/or move. Don’t keep them. I’ve yet to see one rip from just being used, even if you fold it instead of roll it. I appreciate the art and craftsmanship of Etsy, I really do. There are some amazingly awesome things that you can get for dice, or decks, or even your whole cube. I have to tell you, I’m hard on my Magic stuff. Boxes get put in the backpack, other things land on them, I squish it when I don’t take off my backpack when sitting on the bus…and so on. Perhaps you’re someone who takes better care of your things than I do, and if you sit down with me, unfold three trays and have everything immaculately organized, I might ask how much it was. Mostly, you’ll be like the rest of us and have a stack of different things and be mostly put together, and be able to do so for far less money. Deck boxes are useful but replaceable for cheap, on the rare instances that they break. These are also often giveaways at a GP or other event, and if you want to personalize them, I suggest a layer of primer first. Look, I’m not trying to make you feel bad about stuff you’ve bought that brings you joy. You’ll notice I left off binders and backpacks/bags from this list, because you’ll find what you need quite easily. Sleeves as well–I turn mine over frequently. What I want to stop you from doing is spending money on stuff you don’t need to spend money on. Spend your money on all sorts of cards, just don’t go buying accessories that aren’t as needed. I had to stop buying playmats awhile back. I used to use sleeves and playmats depending on what deck I was running, but then I realized it’s too much effort and a lot of wasted money. I have one playmat I bought off an artist at a comicon. Then I just used bulk hyper matte sleeves in labeled boxes. It wasn’t clear to me in the article whether the author was suggesting you don’t spend money for FANCY deck boxes or HARDY deck boxes. I’m a fan of using metal tool cases with inserts or at least wooden, laser-cut boxes. Either way, you have something strong enough to withstand a little stacking without crushing what it is inside. There’s a fellow from Kenosha, WI on Etsy who does inserts and setups for aluminium tool boxes, making them into good Magic carrying cases for multiple decks. You can’t run over it with a car, but it won’t get crushed in a backpack. Also, you can get a lock on the front so it will stay safe from at least casual invasion. #6: Collections at full face value. Whenever you buy a collection, unless you are starting from scratch, it’s doubtful you will need *every* single card. $1 cards are chaff. EDH only cares about singletons. 6a: Collections at buylist value. It’s almost never worth it to buy a full collection (especially unsorted) at buylist. 1) It’s probably not all NM, 2) You will take hundreds of hours (if it’s a big collection) sorting, searching, ordering, mailing, etc.